CIRCLE – our discussions with Ongal Association for anthropology, ethnology and folklore studies on topics related to folklore and cultural heritage – would like to invite you to see the neverchanging look of distant Mongolia. COME on 31st of January at 19.30 PM at the Factory where we will take ourselves to the charming and raw Mongolia with photos and stories from Petia Dimitrova. What do you think of when you hear about this country? Nomads, yurts, black roads, pack of horses, goats and camels in the middle of the barren lands… True – outside the capital Ulan Bator and other big cities. More than a million of Mongols live in unison with nature and remain strangers to the stress of the post-modern era. What challanges does the Mongolian land put them against? And what is the reflection of this on their culture and their main religion – Mongolian buddhism? We will talk about all of this with Petia Dimitrova – an ethnologist, adventurer, author of the book “To love the wild. Mongolia”. 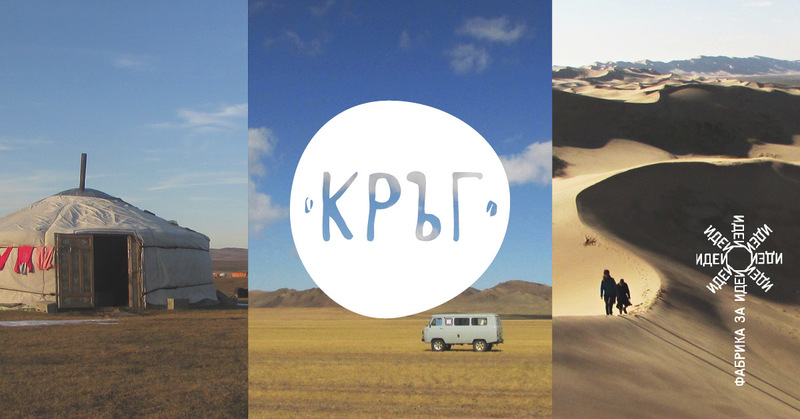 In the end of 2016 she walked the 8000 kilometer milestone with three other Bulgarians from Moscow through Baikal and Ulan Bator to the Gobi desert.